On this popular National Parks tour, discover the unique landscapes of Arizona and Utah as you travel through four national parks—as well as Lake Powell and Monument Valley—and lots of beautiful scenery. Your tour begins in Scottsdale and ends in Las Vegas with overnights also in Grand Canyon National Park, Lake Powell, and Bryce Canyon National Park. Spectacular scenery awaits you in Sedona, with the massive red-rock formations that make the area famous, and on one of America’s most beautiful drives through Arizona’s Oak Creek Canyon, home to brilliantly hued cliffs and rugged spires of sandstone. You’ll stay inside Grand Canyon National Park, giving you the opportunity to watch the sun set upon the stunning Grand Canyon—sunrise is just as impressive—and to be humbled by the magnificent scenery, great views, and extra time to explore the trails. Photographs cannot adequately do justice to the amazing landscape; you must witness it in person! In Monument Valley and Lake Powell, Globus has arranged special experiences for you. 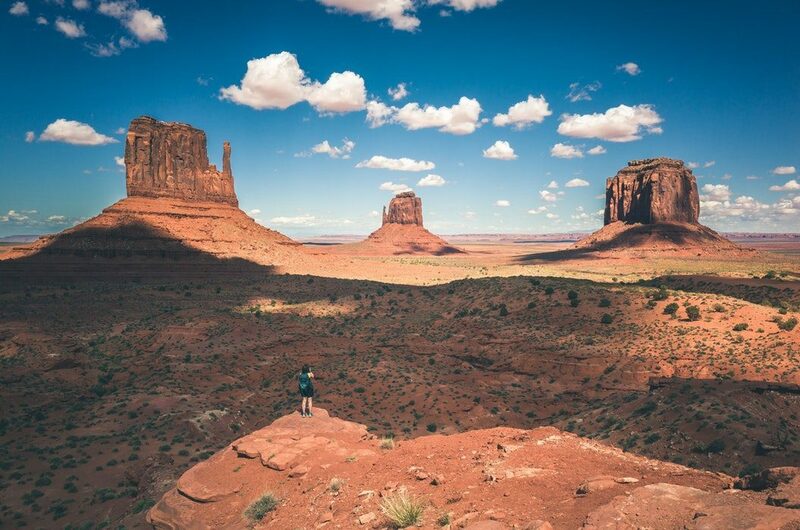 Enjoy a 4-wheel-drive tour of Monument Valley with a knowledgeable Navajo guide, and marvel at the area’s stunning rock formations, oddly shaped monoliths, and red sandstone. In addition to a cruise in Lake Powell, you’ll visit Antelope Slot Canyon with a local Navajo guide. Learn the history of the canyon as you marvel at the beauty created by erosion from wind and water. More splendid views await you in Bryce Canyon National Park and Zion National Park. Watch the colors change on the massive stone formations and be awed by the impressive geology. You’ve heard how remarkable the scenery is in these national parks, and now is your time to experience it for yourself. Sit back, relax, and let Globus handle all of the driving and details.